The Arabian or Arab horse is a breed of horse that originated on the Arabian Peninsula. 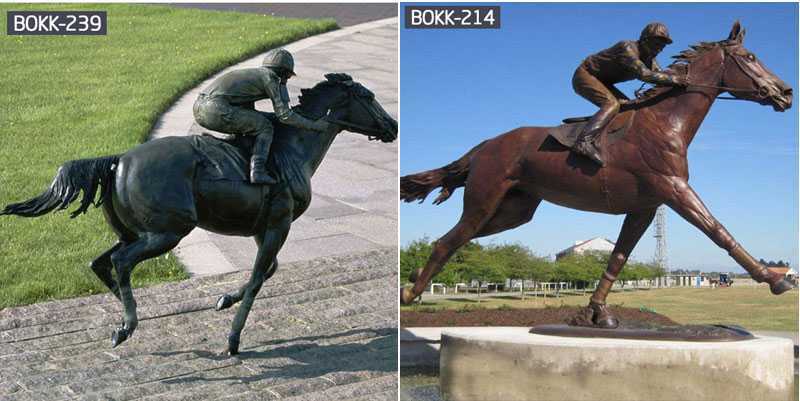 Supplying top quality bronze equestrian and horse racing sculptures and trophies since 2008. 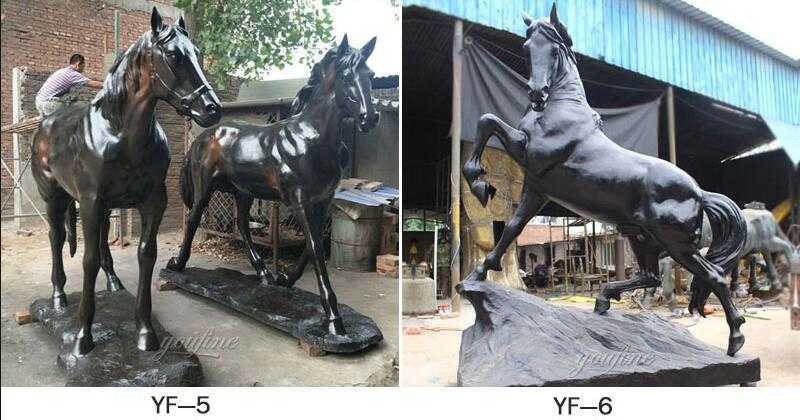 So if you have some requirement about Arabian Horse Statues,please let us know,we could give your the best quality ! 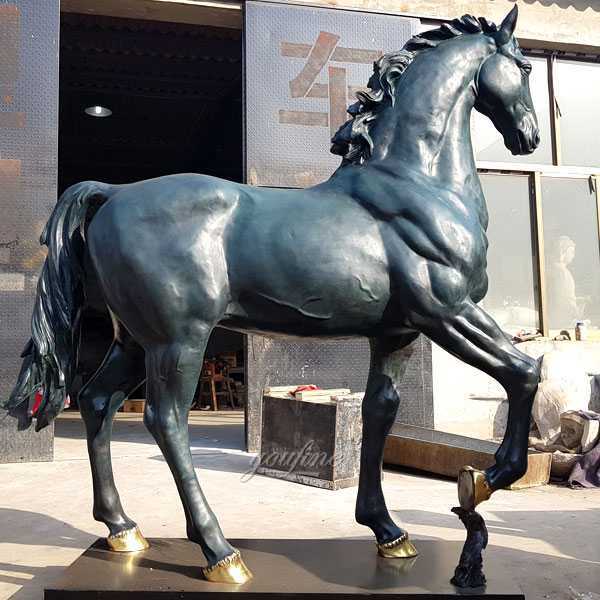 Arabian Horse Statues are considered by many to be the most beautiful in the entire world. 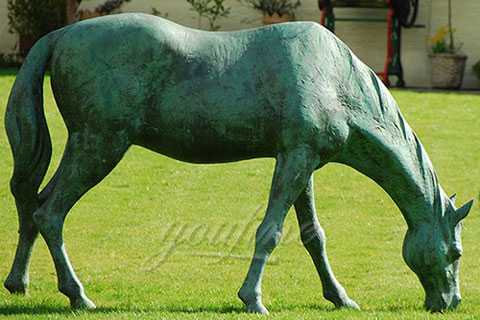 With a graceful curved neck, high tail, and small face, they typify equine elegance. 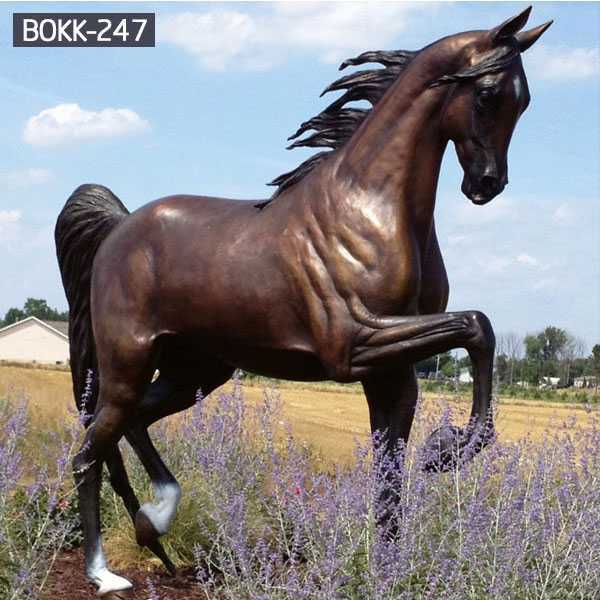 This statue captures with artistic mastery its fine features in dark finished bronze. Caballus horses of subspecies are tamed, but some domesticated populations inhabit them as wild wild horses. These wild populations are not true wild horses used to describe domesticated horses, such as endangered Przewalski horses, distinct variants, and only the remaining true wild horses. 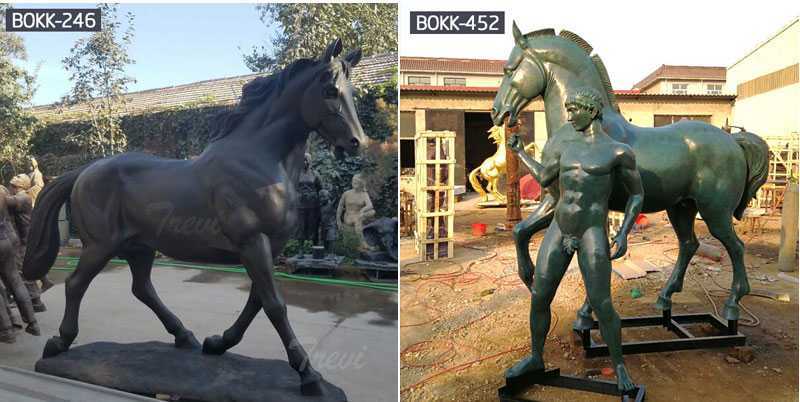 There is a broad and specialized vocabulary that is used to illustrate horse-related concepts encompassing the stages, sizes, colors, markings, varieties, walking movements, and actions of life from anatomy. 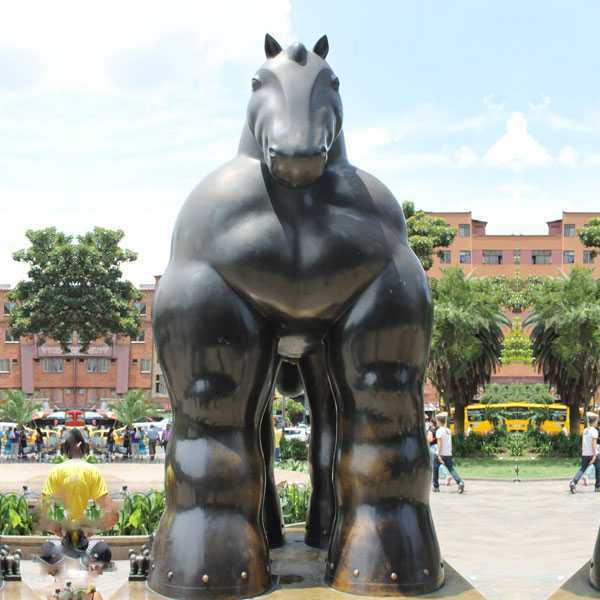 The horse knows or discerns the information of things, especially the close-knit creatures or animals, first of all, the behavior of using the sense of smell. 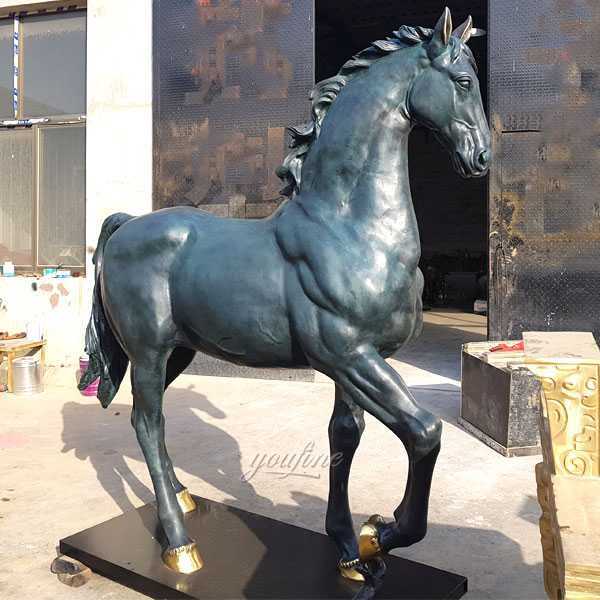 Sometimes you will actively approach the item, the nose flaps, and takes a short breath, trying to inhale more fresh smell information, and strengthen the identification or exploration of new things.Want to know more knowledge about Arabian Horse Statues,click here. 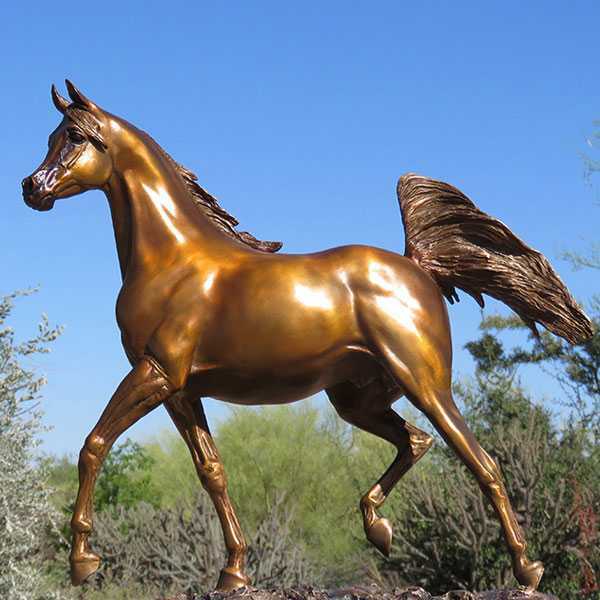 Supplying top quality bronze equestrian and horse racing sculptures and trophies since 2008. 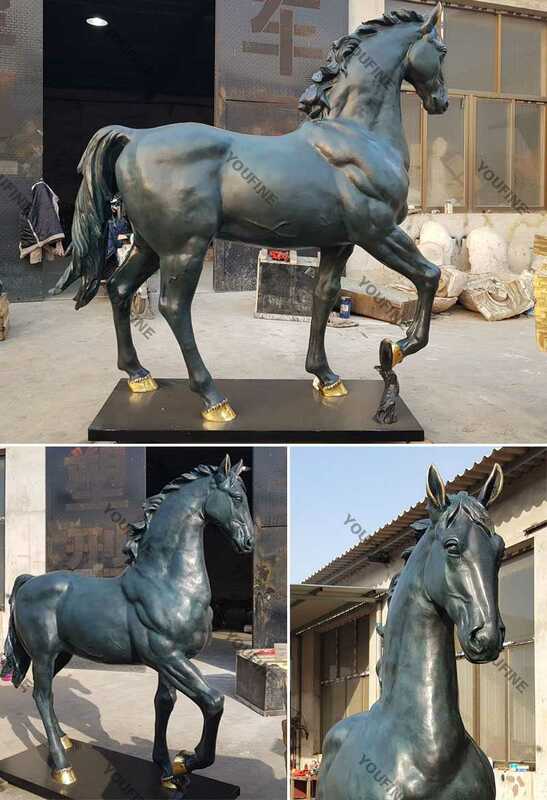 So if you have some requirement about Arabian Horse Statues,please let us know,we could give your the best quality !